Ragweed's Fifty-Fifty and GB FTCH Copperbirch Paddy of Leadburn mid of may. For more information please visit: Breeding. Last weekend Ragweed's Fifty-Fifty was mated to GB FTCH Copperbirch Paddy of Leadburn in Scotland. In 3 - 4 weeks we will know if our trip to Scotland was successful. For more information please visit: Breeding. 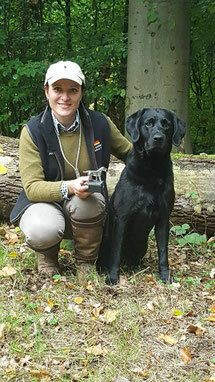 This weekend Keed and I started in Denmark at the ICC, the European Retriever Championship among the best dogs from Europe. 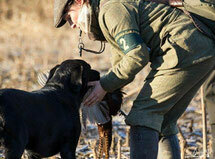 Keed made it into the final round and finished 4th with Excellent and qualified for the Danish Retriever Championship. Dirk and Jane did as well an amazing job. 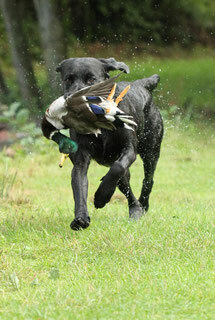 The final retrieve made the decision. Finally they managed to win these prestige event. So well deserved. For Dirk it was already the 2nd time that he won the European Championship. An unforgettable weekend and at the same time our last event together. Keed is now in well-deserved retirement. Together with my two good friends Anja and Heike we competed at the IWT in Italy. 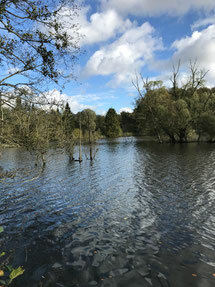 Two fantastic days in a wonderful area with lots of water and really hot temperatures. Finally we finished with excellent 9th place. In the individual classification Keed makes it into the top 10 out of 108 dogs. 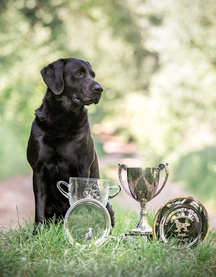 Award "Most successful dog at Field Trials in Belgium"
Keed receives the award from the Belgian Labrador Club for the most successful dog at Field Trials in the season 2017/2018. He was running 5 times in Belgium and won 4 trials, including the Belgian Retriever Championship. 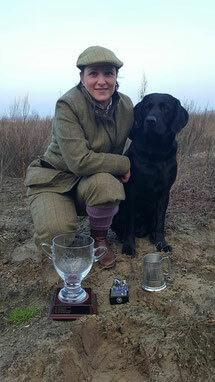 Two days walk up on partridge and pheasant, judged by Sara Gadd and Mike Tallamy. A wonderful weekend which we passed with very good. Congratulations to the winner our good friend Laura Lazaretto. Keed wins the Belgian Retriever Championship 2017/2018. Judges: Filip Bollen, Lydia Gossen, Anders Carlson, Paulina Ahola. Excellent at the International Field Trial in Udine on 17.12.2017. Keed wins the Field Trial in Waterloo Belgien. Judges Fons Exelmans and Filme Exelmans. Keed eyewiped 6 dogs and wins in an very impressive way the Open Field Trial in Casteau. A great walk up trial judged by Fons Exelmans and Ton Buijs. Perfect organization and really nice grounds. Finally we managed to win these nice International Field Trial. A perfect start into the new field trial season. 1st place with Excellent CACT. Judges: Filip Bollen und Lydia Gossens.